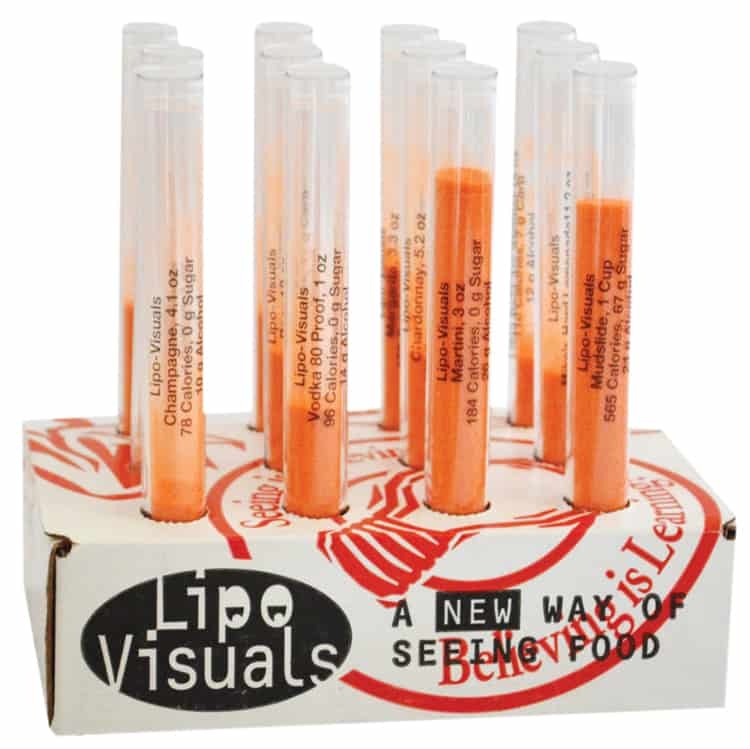 Alcohol-Visuals 12 pack test tubes are the only nutrition teaching tubes that show the facts about grams of alcohol (ethanol) in a variety of alcoholic beverages. The serving amount, calories, and sugar content per beverage are also listed on the labels. Beverages include Beer, Light Beer, Red Wine, White Wine, Vodka, Mudslide, Margarita, Kahlua, Champagne, Martini, Mike’s Ice, and Brandy. Alcohol is one of the leading substances abused in our society contributing to liver disease and obesity. 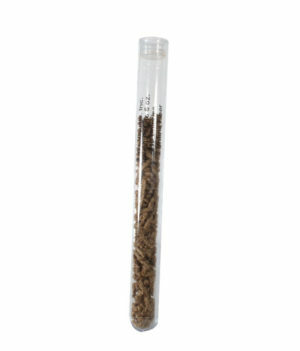 Each alcohol teaching tube set comes with a educational handout.